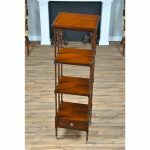 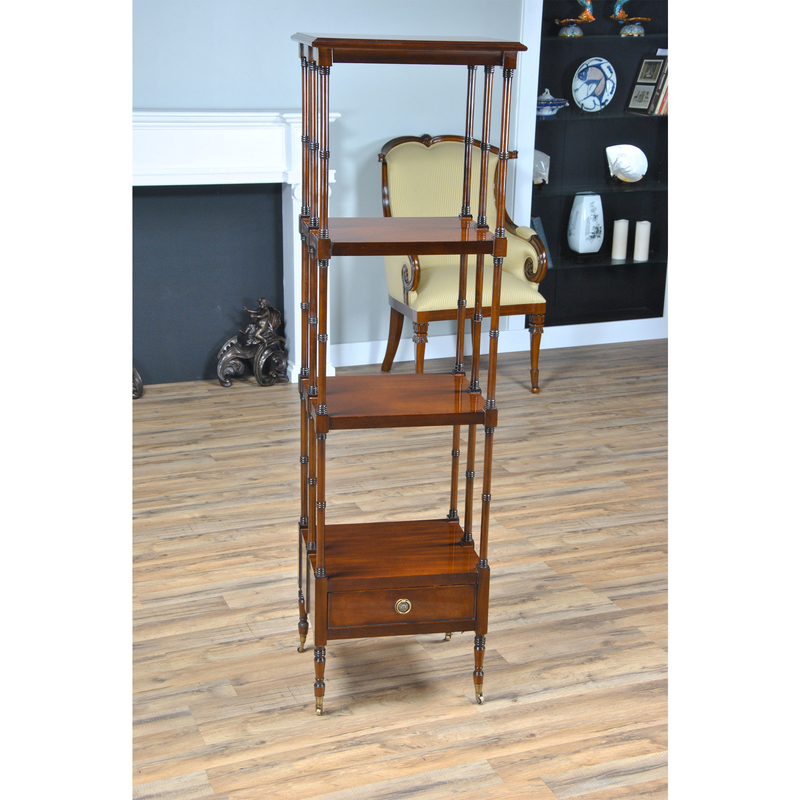 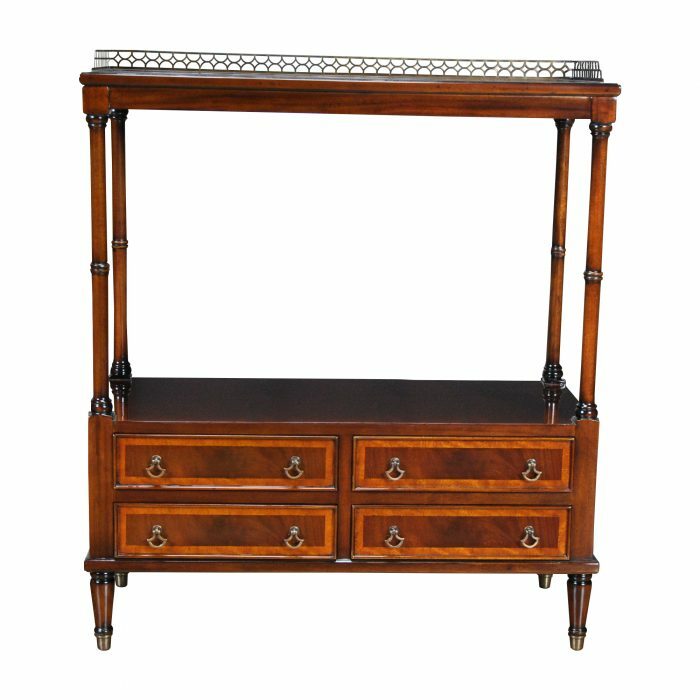 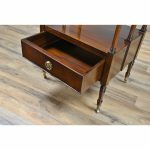 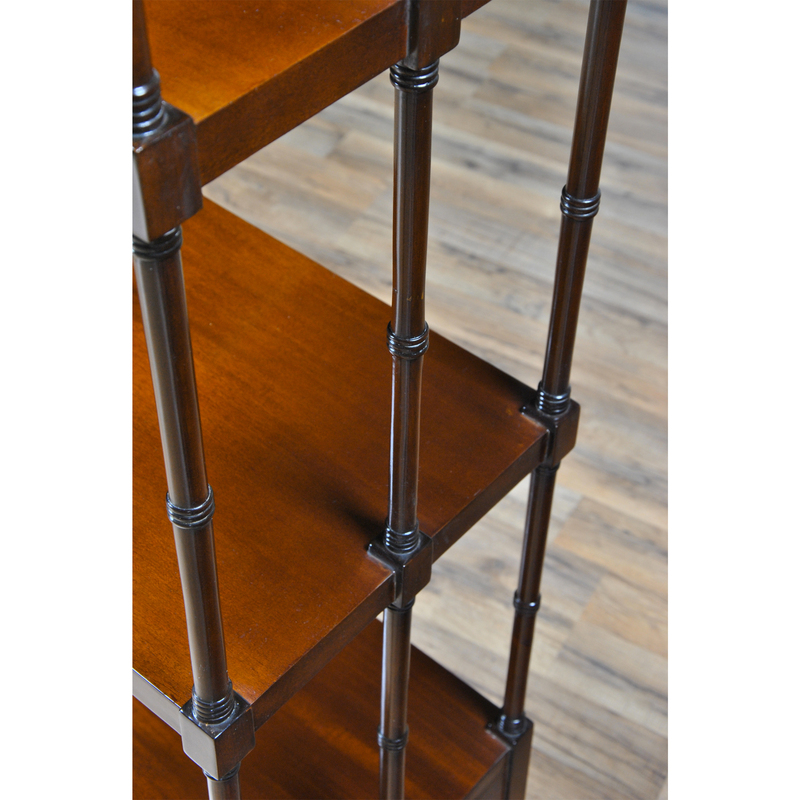 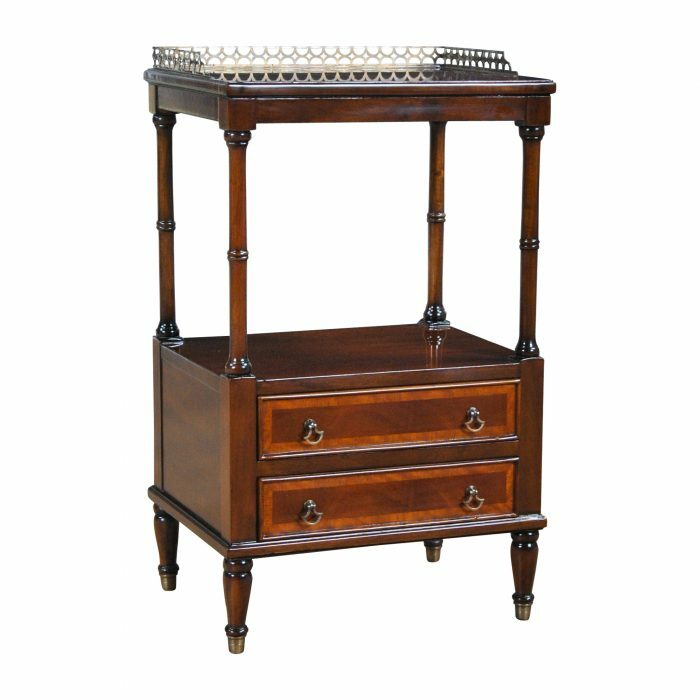 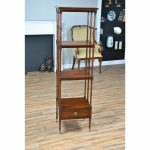 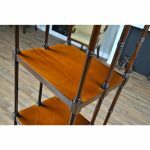 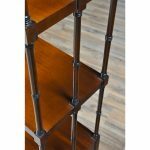 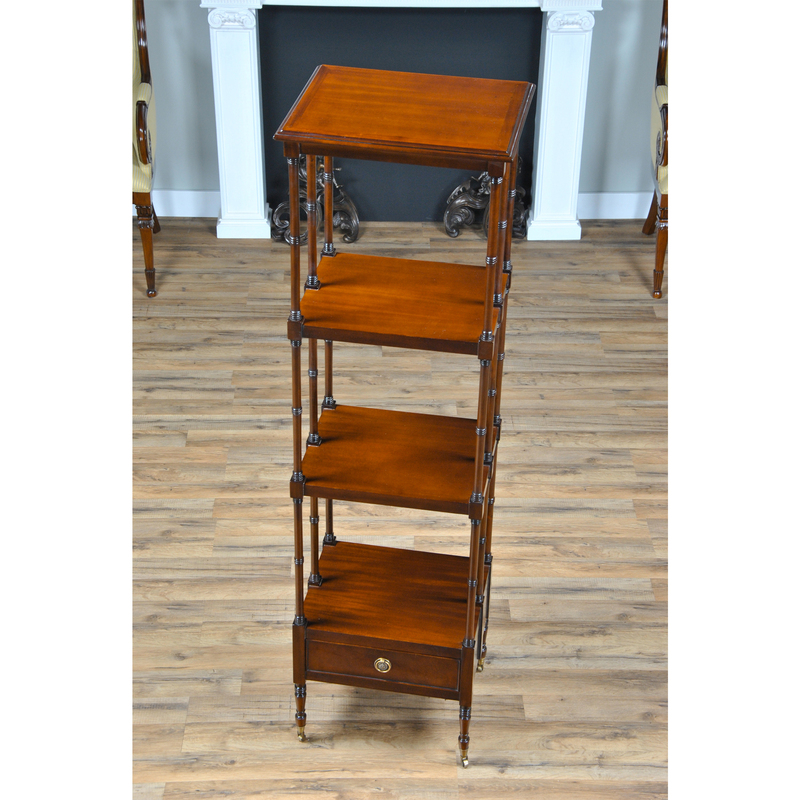 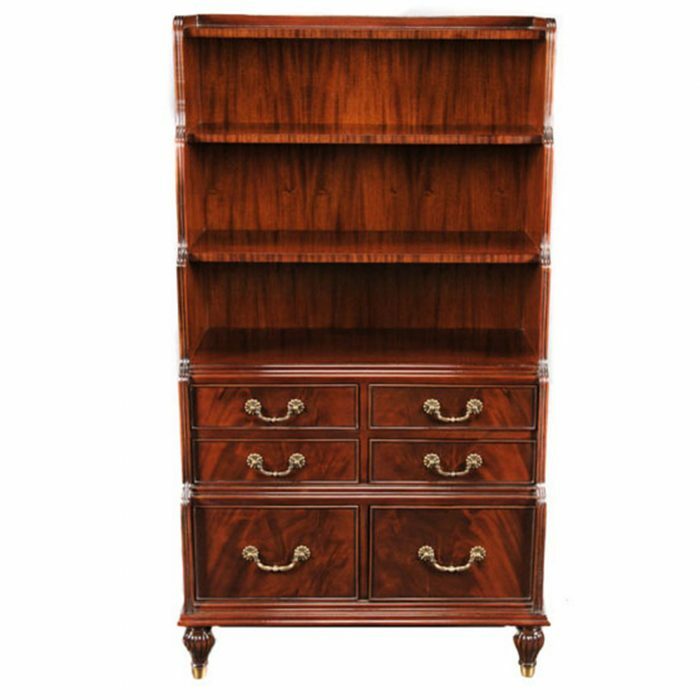 An English Regency Style Mahogany Book Shelf by Niagara Furniture that is both decorative and functional. 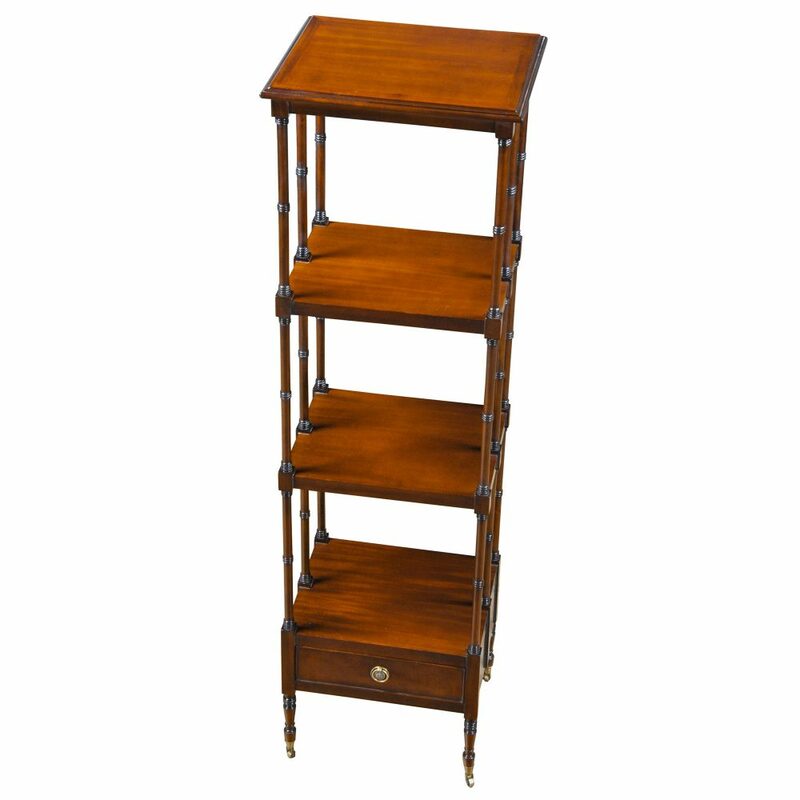 This style bookshelf was originally made for the libraries of landed gentry in England in the eighteenth century but they remain popular today by adding much needed vertical storage and display space to small areas. 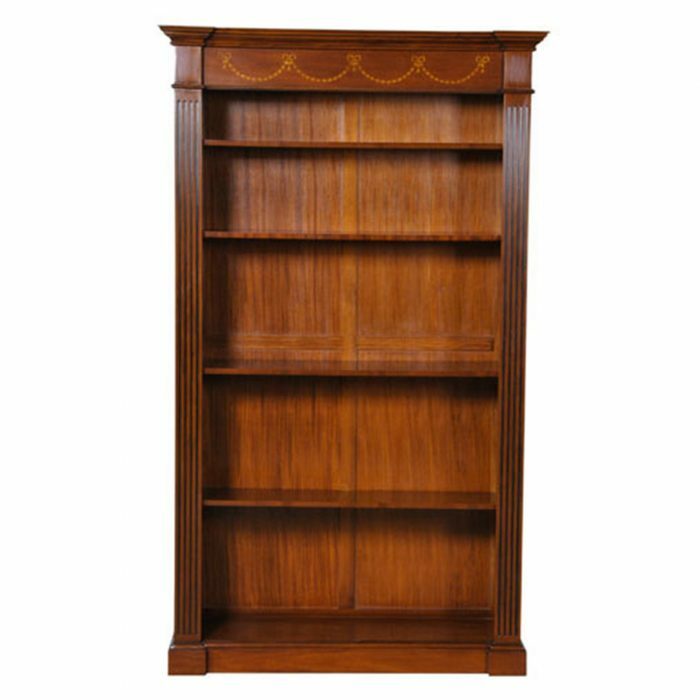 Solid mahogany turned supports of faux bamboo are created from sustainably harvested plantation grown trees and the supports give the Mahogany Book Shelf a light and airy feel while keeping it sturdy. Four display areas allow for maximum storage and display, a high quality dovetailed drawer allows for items to be tucked away. 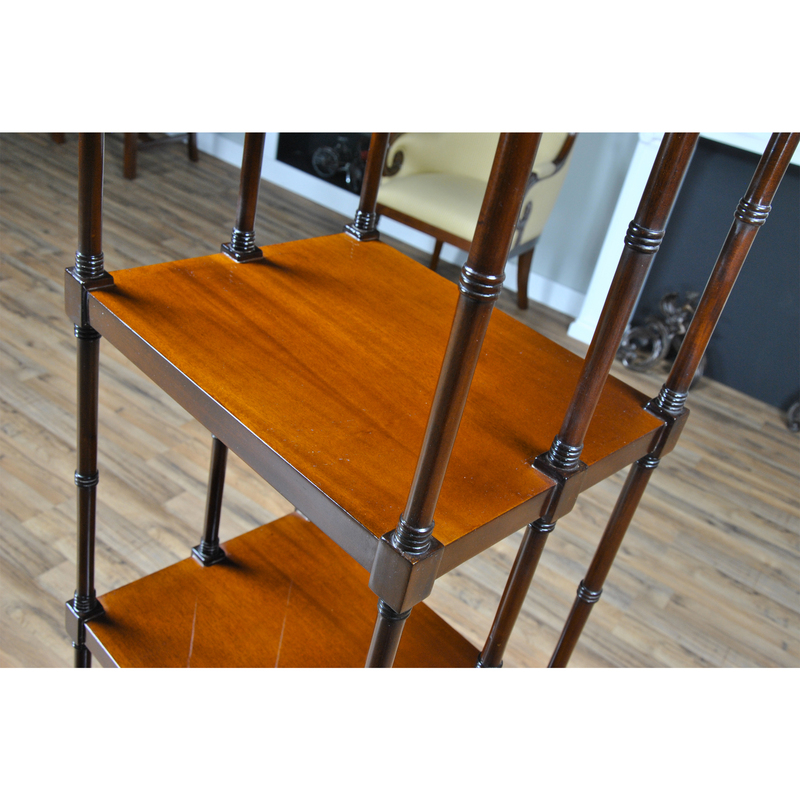 All resting on solid brass wheels.